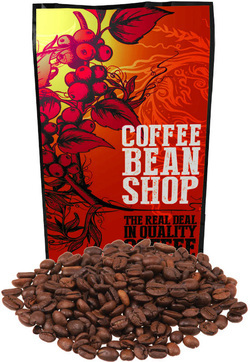 Buy Coffee Beans Online - Better than wholesale prices. The Coffee Bean Shop online shopping experience. Delivery is fast by courier or Australia Post anywhere in Australia, plus enjoy FREE DELIVERY on orders of $100 or more. Delivery time estimates and rates are here. Coffee Bean Shop produces great value premium fresh roasted coffee beans online in Australia. Enjoy delicious coffee beans that are not bitter or acidic, complimented with terrific personal and professional customer service. Owner and master roaster James, guarantees the quality and freshness of his coffee beans and bulk coffee beans, which are roasted fresh just for you. Are you looking for a fantastically fresh coffee bean for everyday use? A coffee bean that is full of flavour and and bold enough to give you a kick start to your day? Would you trade $28.97 to bring morning happiness and energy to your world for days? From the land of Guatemala to your doorstep, you can receive the freshest coffee blend featuring bold flavour, cocoa texture and gentle spice. The beans are roasted the same day as your order so you will smell the aroma before it hits your front door. Serious coffee for the serious drinker - Order the daily blend now! This Espresso coffee is from a base of strong coffee beans, making it very familiar to cafe customers as being high quality coffee. It has a full round flavour profile with a nice kick. Roasted dark, which delivers a beautiful crema, full of body and sweetness. Ideally suited to strong flat white, cappuccino or short black coffee 100% Arabica coffee beans from South America. Never bitter or acidic. There is a trick to getting maximum crema on top of your coffee espresso - its only part technique! Get the edge with this delicious full flavour coffee bean using a base of the Monsoon Malabar, its a bold coffee bean just oozing thick strong crema. Served black, this is an impressive coffee. Served as an espresso, it is fabulous! This coffee bean is never acidic or bitter and if you are making this coffee as a milk based drink like a flat white or cappuccino, wow, it is just delicious. One of my all time favorite coffees. What would you say about a coffee that is full of body, has a rounded flavour and finished off with a hint of dark chocolate? Thats exactly what you have here with Coffee Beans Shop Mocha - okay, so there isn't actually any dark chocolate in this coffee bean, but it perfectly describes the flavour of this delicious coffee bean. You will find this coffee as a medium roast, which means a good amount of the coffee origin shows through. Its won awards in various competitions in Australia over the years as a complex blend. 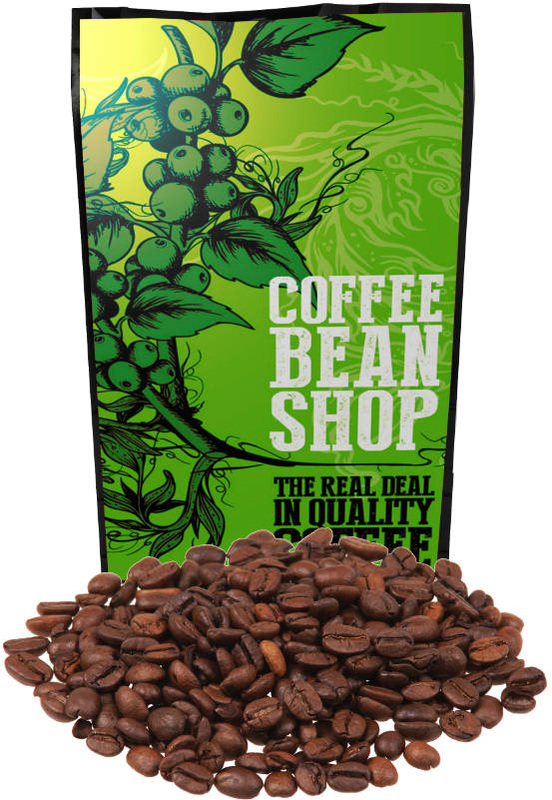 The all natural Mountain Water process is used to clense these coffee beans of over 99% of the caffeine content. 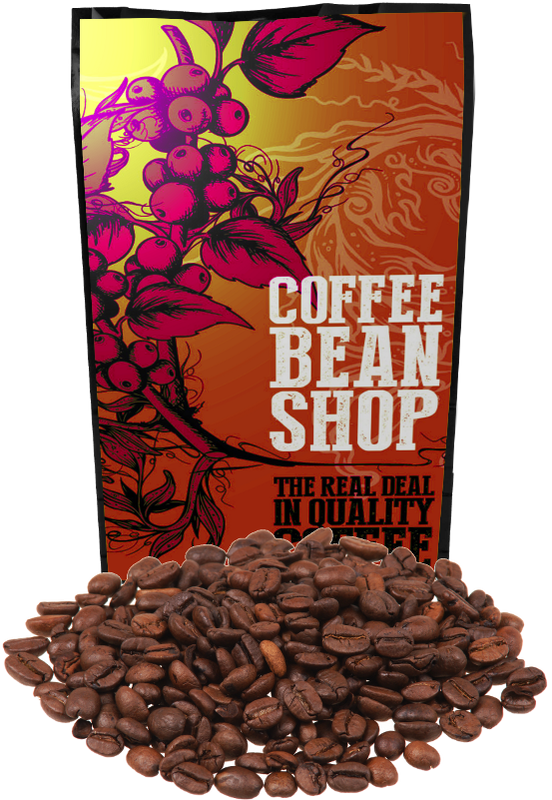 Served in many cafes all over Australia, this very high quality Decaf coffee is hard to distinguish in flavour from a full caffeine coffee. You may be choosing a decaf coffee for health reasons, or as recommended by your doctor, or you could be looking for a high quality Decaf coffee to satisfy your late night needs if you are affected by caffeine, whatever the reason, you dont need to accept a lower quality coffee when you choose this extremely high quality Mountain Water processed coffee bean. ​Creamy Chai Latte is a delicious blend of chai spices in an easy to prepare formula. Perfect for a mid-morning break or to ease into the afternoon, or if you're anything like me, to hug into on the couch! Now available in a 1kg Value Pack which is 5x more than our regular packs and for less than half the cost - such awesome value! Creamy Chai Latte is easy and quick to make too; simply add one tablespoon of mix to a milk jug, add an equal amount of hot water to dissolve, add milk and steam on your espresso machine, or pop it in the microwave and stir just like a hot chocolate. Bondi Chai Vanilla Honey Chai Latte is a seriously delicious, creamy-smooth blend of milk, black tea, honey, vanilla and exotic 'comfort' spices which tastes superb and is 'almost addictive' - usually served latte-style. Because it’s a powder, Bondi Chai is very versatile and easy to use and stores in its foil packs for at least 2 years. Are you looking for a delicious and luxurious quality chai latte? Bondi Chai Latte Club Cinnamon turns up the spice in this delicious blend with the exotic flavours of Star Anise and Cinnamon beautifully complemented by the clean, fresh after-taste of Ginger. If you like cinnamon, you'll love Club Cinnamon! Coffee Bean Shop produces great value premium fresh roasted coffee beans online in Australia. Enjoy delicious coffee beans that are not bitter or acidic, complimented with terrific personal and professional customer service. 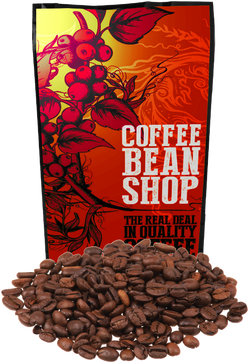 Owner and master roaster James, guarantees the quality and freshness of his coffee beans and bulk coffee beans, which are roasted fresh just for you. Delivery is fast by courier or Australia Post anywhere in Australia. Enjoy FREE DELIVERY on orders of $100 or more. Delivery time estimates and rates are here. 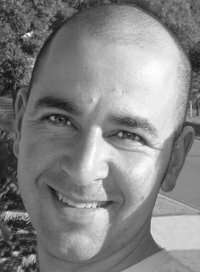 Contact James today to discuss your requirements, or if you would like to place a traditional phone order.